Unless you take a data-driven approach towards recruitment, it’s difficult to know what’s working and what’s not. As simple as it sounds, this fact has long been ignored, especially by the recruitment professionals. Without data and analytics, recruiters have been making decisions based on their gut feeling. However, with the coming of age of digital HR, organizations are sitting on huge piles of data and therefore, choosing analytics for making recruitment decisions should not only be a viable option but also necessary action. Recruitment Analytics is the ability to capture and interpret large data sets to make better hiring decisions. An intelligent implementation of analytic tools and techniques can boost recruitment performance by revealing useful information for decision-makers and improving hiring decisions as a result. There are multiple benefits of recruitment analytics in HR which include reviewing recruitment performance, conversion rate analysis, identifying top performing sources and applicants, and discovering areas for improvement. We will talk about these benefits of talent acquisition analytics in detail. How to use analytics in recruitment? To use analytics in recruitment we must first have the data in place. Recruitment is a complex process with multiple levels of decision making. Therefore, data needs to be captured in each phase of the recruitment process. First, one needs to look at the reach of their recruitment process, for example the no of visitors coming to the career site. Next is the engagement part where recruiters need to look at statistics derived from the engagement actions the jobseekers performed on the site. Next is the Apply phase where data needs to be examined regarding the number of applications coming for a job, the kind of applications coming in terms of the quality and relevancy. The final phase of recruitment is Hire where we can observe which candidate applications accepted the offer, and ultimately got hired. The benefits of using talent acquisition analytics are not a hidden fact anymore. There are multiple advantages such as better quality of hire, reduced time to hire, improve RoI of the recruitment budget. If recruitment metrics is done effectively with proper data collection, and focusing on the right numbers we can surely arrive at significant conclusions that will be beneficial for the overall recruitment process. While not all metrics will be equally significant, recruiters need to focus on data that will help them take better decisions. Decision makers can utilize recruitment analytics to find the optimum employee from the initial stages of the recruitment process. By using tools that employ machine learning algorithms based on the company’s work culture, recruiters can quickly find out if the incoming candidate is the right fit for the company or not. These data-backed hiring algorithms can easily measure the soft skills of the candidates which are essential to excel in your organization. This data can also prove helpful in predicting the candidate’s turnover risk which can again save resources. After using this information to shortlist the prospects recruiters can proceed to the next round of a personal interview. For recruiters sourcing is always a major task and often the most time consuming part. Recruitment analytics can help recruiters optimize their hiring strategies by removing poor or ineffective sources. These reports will help recruiters evaluate the efficacy of job boards, and third party recruitment consultancies. Data can be extracted from the candidate applications to understand minutest details like the locations which are most conducive to them. By identifying the best sourcing channels and methods with the help of recruitment analytics you can get better returns on your advertising budget, and also get more competent hires, eventually improving the quality of hire. One of the most important significance of recruitment analytics is its ability to provide insight into the upcoming industry trends. Using data to get an understanding of the demand and supply dynamics in the job market recruiters can redefine their hiring strategy for better efficiency and outcomes. Analyzing the industry trends with data will give you clear insight on the kind of jobs currently available in the market and what skills are most in-demand. This data is even more important for recruitment agencies that can put to use the analysis to find better candidates for their clients and hence be more profitable. Recruiting employees from the current available talent pool is not an easy task. As millenials have entered the work arena, there have been persistent questions about their ability to fit in the existing workplace. They are a generation that doesn’t like to get stuck doing the same thing, and know how to utilize technology better to find solutions and get ahead. Along with a different skillset, the millennial also bring a different mindset to the workplace, adjusting to which is a major challenge for employers. It is important for organizations to embrace the change to attract the best talent that can contribute to their growth. Recruiters have to start adapting their talent acquisition strategies and techniques to appeal to the current generation of workforce. This is where recruitment marketing techniques become important. With the onset of 2019, there are going to be some new developments in the recruitment space worldwide, as each year brings with it a host of exciting possibilities and challenges. 2018 was the year when AI, automation and HR analytics were the most talked about terms in recruitment, and since the technology was still very new, these will continue to remain the mainstay of innovation in recruitment. What else is going to impact recruitment in 2019? Let’s examine. This is why Search engine optimization (SEO) will continue to play an important role as it provides the necessary visibility to job postings on the web. Most job applicants use search engines like Google to find jobs, and therefore, SEO will remain an essential component of recruitment marketing toolkit. Email marketing also continues to remain a vital means of communication with candidates. In addition to all of this, one must not forget that with this smartphone generation youth, mobile apps, push notifications and Whatsapp has become a preferred source of candidate communication. There is an increase in the usage of Rich Communication Services (RCS) which in turn is leading to better engagement rates. These tools can also integrate with ATS systems are therefore ideal for improving talent engagement rates. Talent acquisition is one of the areas where artificial intelligence has found widespread acceptance. The reason behind this is that AI has shown verifiable results in improving recruiter productivity, reducing time to hire and hence improving candidate experience making it more intuitive and seamless. In 2019, we can expect to see continued exploration of possibilities that can be achieved with the application of AI, and the various ways in which candidate experience can be further simplified. Whether it’s the bots that are making the application process faster or apps that simulate human conversations through text boxes or voice commands, AI is making more job search more fun for the candidates, enabling them to apply to jobs quickly and engage with employers with ease. Using these AI systems recruiters will be able to proactively communicate with candidates, and provide them with a 24/7 high value interaction consistently. Also Read: Why is Candidate Experience so Important? Background verification and assessment is another area where AI is promising to make an impact and 2019 will certainly show some of that result. While earlier employee background verification process was manual and costly affair, often managed by external agencies, with Artificial Intelligence coming in the picture, this space is also undergoing a transformation for good. AI and machine learning promise to make the employee background verification process quicker, smarter, and more effective. An example of AI application in this space includes the Israeli startup, Intelligo, which is using AI and ML to make employee background verification 90% accurate. Another startup Vervoe introduced a hiring platform that uses machine learning to screen and predict skill sets, besides automating employee background verification. In an age where digital fraud is on the rise and where recruiters spend multiple days on finding the right candidates, it’s vital to make use of background screening technology to avoid waste of their valuable time. Also, since the process of background assessment is multi-level, complex and time consuming, it makes for a perfect area of AI application. With Applicant Tracking Systems taking over recruitment, most organizations now have their own private database of profiles, stored on the cloud. This means that candidates don’t have to carry their CVs everywhere they go for an interview. Also, we’re going to see a change in how employees interact with candidates. Video interviews will become big where employers will have a chance to directly assess the candidate on the basis of their soft skills, personality and knowledge without having to call them for a face to face round to the office. Doing so will allow recruiters to easily assess candidates on a range of skills, from individualism, to creativity and an awareness of technology. A McKinsey report in April 2012 an important fact was stated, “Companies with diverse executive boards enjoyed significantly higher earnings and returns on equity.” While this report emphasized on executive leadership, this statement applies as much to entry level employees as to the C Suite. A higher performing workforce is one of the biggest advantages of diversity hiring. What are other advantages of implementing a diversity recruitment strategy and how can recruiters attract and retain diverse candidates? Let’s examine in detail. https://companies.naukri.com/rms-careers/wp-content/uploads/sites/21747/2018/12/How-can-recruiters-promote-diversity-in-the-workplace.jpg 420 750 Naukri RMS Naukri RMS2018-12-24 12:03:062019-01-11 06:09:49How can recruiters promote diversity in the workplace? How to prepare a recruitment budget for your organization? A recruitment budget is essential to cover all the costs associated with creating a recruitment strategy, engaging and recruiting talent, and retaining them once they are hired. However, it is essential to plan the recruiting budget correctly to effectively drive recruitment activities, capture crucial metrics and find areas of improvement. Without a well-planned recruitment budget you always run risk of overspending and ruining your entire hiring plan for the year. Also it can be difficult to track all the expenses that were incurred in hiring a candidate, right from the advertising the job to arranging lunch for candidates if required. https://companies.naukri.com/rms-careers/wp-content/uploads/sites/21747/2018/12/recruitment-budget.jpg 683 1024 Naukri RMS Naukri RMS2018-12-20 07:39:152019-01-11 06:10:21How to prepare a recruitment budget for your organization? What is Mobile Recruiting and its Benefits? Mobile recruitment is not a recent trend, however, with the ever growing technological capabilities of smartphones, mobile recruitment has also grown stronger and acquired more prominent place in the overall recruitment strategy. So how exactly mobile recruitment works and what are its benefits? Let’s examine now. Why is Mobile Recruitment important? What are the benefits of Mobile recruitment? Mobile recruiting is a term collectively used for recruiting talent using mobile technology and hiring them on the go. Leveraging mobile technology for candidate engagement also comes under mobile recruitment. Research tells us that the number of smartphone users is growing rapidly. In 2011, only 10 percent of the world population had access to smartphones while in 2018 this has grown to 36 percent. There were 2.1 billion smartphone users in 2016 which is expected to rise to 2.5 billion in 2019. Thus, the widespread adoption of smartphones by people across the globe indicates an immense potential in this technology to reach out to jobseekers from around the world. This makes mobile recruitment one of the biggest game changers of the recruitment space. Besides, social media and mobile technology are closely related to each other and recruiters who are able to use these two technologies to their benefit can surely attract better talent. People are using smartphones as their single point of contact with the world. Whether it is checking their emails, social media accounts, or messages, it is now becoming the de-facto place for communication. This holds true for jobseekers as well. If recruiters have an active career site they can add a functionality to allow jobseekers receive alerts on their smartphones when they are shortlisted. Whatsapp, which is now the biggest instant messaging app in terms of active users can also prove an effective engagement tool where recruiters can communicate with candidates immediately when they are shortlisted for a particular role. Also Read: Why is Candidate Experience So Important? Social media surfing is one of the most prominent usages of smartphones. By building a good social media presence and integrating it with your mobile recruitment strategy you can drastically increase your reach. By posting on social media accounts you can drive visits to your own career site also. People are also more likely to refer their contacts for a job advertised on the social media channel owing to the convenience of sharing. It is important to have a mobile optimized career site which provides a seamless experience of social sharing to effectively utilize the power of mobile with social media. Mobile recruitment has the potential to significantly increase the company reach to passive candidates who are too busy to go to a job board or career site and search for a better opportunity. Even these candidates would be checking their smartphones on daily basis. By creating a mobile optimized career site and optimizing the application process for the “mobile” user, recruiters can greatly improve their application rate. Organizations can also build recruiter mobile app that allows them to post jobs on the go, and view the status of the job created by them. This will not only add to the speed of hiring but also boost the overall productivity of the recruiters. Even if you do not want to create a separate mobile recruiting strategy, even having a mobile optimized company branded site can greatly affect the quantity and quality of the talent that your organization attracts. Most candidates, before applying to a job, research about the company and most probably use their smartphone for the same. Having a company website that breaks down on the mobile can leave a lasting poor impression thus harming the application rate. Thus, a mobile optimized company website is an important must-have. With recruitment mobile apps, there is real time information available to recruiters who can check the status of the jobs created by them, review the candidate applications on the go and shortlist candidates remotely. They can also schedule interviews through these apps or view candidate documents like CV and others within a matter of minutes, anywhere, anytime. These smartphone recruitment apps allow recruiters to perform more in less time and with lesser efforts and hence a positive impact on their performance. https://companies.naukri.com/rms-careers/wp-content/uploads/sites/21747/2018/11/what-is-mobile-recruitment.jpg 772 1680 Naukri RMS Naukri RMS2018-10-23 10:54:462019-01-11 06:11:35What is Mobile Recruiting and its Benefits? Talent management is becoming a key area of concern for most C-suit executives. Business leaders know that workforce is their biggest asset and plays the most pivotal role in success of a business. Therefore it is important to ensure that employees are happy, motivated and share the same vision as the company. It is in this context, that the concept of employee engagement is gaining a lot of attention these days. What is employee engagement and why do businesses need it? In HR, engagement simply means how motivated and energetic employees feel about their work. It’s not only about how communicative they are, or how satisfied they are with what they are doing as these emotions can be misleading. An employee might be satisfied with the little work that he is doing but is that good enough for the business? Employee engagement is the passion that an employee feels about their work, the extent to which they are committed to the vision of the business and the amount of efforts they put in the direction towards achieving it. Why is employee engagement important to a company’s success? A disengaged workforce is more of a liability than an asset, slowly draining the business of its financial resources in the form of salaries, perks and other benefits. According to Gallup estimates, a disengaged workforce is costing businesses around $550 billion every year in terms of lost productivity. Also, since a disengaged employee is more likely to leave the organization, finding a new replacement for them will also waste valuable time, money and productivity. According to a study, it can cost up to 33% of the employee’s salary to replace them. With better engagement, this sheer wastage can be avoided. This clearly indicates the cost benefits of performing employee engagement activities. Engaged workforce bring more value and energy to the table simply because they are more connected with the business vision and have a firm belief in it. They are willing to stick to the company even when times are tough. Their loyalty is with the business idea and the vision of the company, not with a manager or any other individual aspiration. Therefore, it is observed that engaged employees reflect higher retention rate. When companies put in place effective HR engagement practices, they will into only increase employee motivation and their ability to work to their full potential, but also improve employee satisfaction level that ensures they remain loyal to the organization. Not only does an engaged workforce reduces financial drainage, but also positively impacts the overall bottom line of the business. The Gallup report estimates companies with highly engaged employees earn per share 2.6 times higher than the companies with low engaged employees. Similarly, businesses with a highly engaged workforce achieves 2 times higher net income than businesses with poor engagement levels. 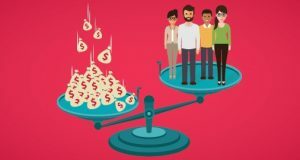 The Taleo research also found out that organizations experienced 26 percent higher revenue per employee where the engagement levels are high. A Towers Perrin research reported 6% higher net profit margins in companies with engaged workers. There is a growing body of research that indicates which now seems obvious; engagement drives revenues up. Around 71% of the executives surveyed believe that high levels of employee engagement must be one of the priorities to drive growth and investment. When asked to rate the importance of employee engagement for business performance and overall organizational success, 48% gave a 9-10 rating which signifies extremely important. A disengaged workforce exhibits 33% higher absenteeism and is 60 % more error prone. These are some datapoints that directly reflect the impact of employee engagement activities on workforce performance. To foster a high-performance culture in the organization it is essential to engage with your employees so that roadblocks can be identified and worked upon. Based on the extensive evidences we have covered till now, it’s obvious that employee engagement impacts business outcomes positively. One of the best business outcomes for companies that have a greater engagement level is a highly satisfied customer base. It is not difficult to understand that when an engaged team puts in the hard work, and passion to deliver product or services, this will affect customer satisfaction. ISS, facility service provider collected 20,000 customer responses from over 2500 contracts and also 500,000 employee responses. The data analysis concluded a high correlation between employee engagement and customer satisfaction with a correlation coefficient 0.55, which is even higher than a correlation coefficient of sleeping pills and insomnia (0.38). This drives the clear conclusion that employee engagement affects customer satisfaction for businesses. https://companies.naukri.com/rms-careers/wp-content/uploads/sites/21747/2018/08/why-employee-engagement-is-important.jpg 1080 1920 Saurabh Tyagi Saurabh Tyagi2018-08-29 05:22:462019-01-11 06:22:18Why Employee Engagement Is Important? Metrics are the key to measuring success of any process. Without certain KPIs you wouldn’t be able to identify the areas where performance could be improved. In recruitment also, metrics act as a key indicator of the effectiveness of your recruitment process. As the usage of analytics in HR gains strength by the day, the power of metrics to provide a clear picture of the health of recruitment process in an organization also increases. How to measure recruiting metrics? Recruitment metrics are the standard KPIs used to assess and improve the hiring process in an organization. These metrics provide actionable insights on process effectiveness, and potential areas of improvements. The hiring metrics can be broadly divided into four categories, viz. speed metrics, quality metrics, productivity metrics and cost metrics. With adoption of the latest HR analytics tool, new metrics are being discovered to gain deeper insights on process improvements. Here we discuss the best metrics for recruitment success. 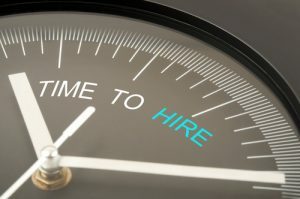 Time to hire is one of the speed metrics. Also known as Time to fill, it pertains to the time taken by the process to identify and recruit a potential candidate for a vacant position in the organization. Knowing the time its taking to onboard a candidate on the team is important because it has direct relation to recruiter productivity, and process performance. Any organization would want to have the shortest time to fill so that candidates do not wean off to competitors during the hiring process itself. Candidate who is actively looking for a change would most certainly accept an offer that comes first their way. When we look for productivity metrics examples in hiring, source of hire is the first metric to be noticed. Source of hire investigates the sourcing channel effectiveness. We know recruiters use multiple channels to source candidates to maximize their talent pool. Common channels include job boards, employee referrals, social networks and career site page. Identifying where best candidates are coming from can prove really helpful as that’s the channel you would want to allocate your job advertising budget. Also, the channels which do not provide relevant candidates can be identified and you could stop wasting the time/effort wastage on those channels. How would you rate your overall experience working with the organization during the hiring process? How was your experience with the recruiter? How satisfied are you with the speed and responsiveness of the recruitment process? A satisfied candidate is definitely an indicator of successful hiring process. It helps in improving the employer brand and consequently gain access to better talent in the long run. 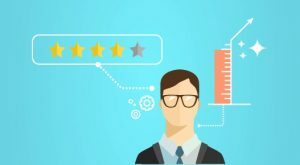 On the other hand, an unsatisfied hiring prospect can vent out their dissatisfaction on various online channels, harming the reputation of the brand and also reducing chances of getting the top talent. Quality of Hire is another measurable recruiting metric that is also known by the name of First Year Quality. The first year performance of the candidate, often judged by their performance rating gives an insight into the quality of hire. Naturally, candidates who get a good performance rating are considered as a good quality of hire while those with low performance rating are indicative of bad hires. A bad hire can be a liability and prove costly, financially as well as through loss of productivity. Thus there are huge repercussions to a bad hire, in terms of direct as well as indirect costs. If you combine quality of hire with sourcing channel effectiveness, it can provide details of sourcing channel quality, which again will help you control recruiting costs and improve performance. A simple way to measure the cost per hire metric is to divide the total costs incurred in a recruitment process by the number of hires. However, in order to come up with an accurate cost per hire figure, you must keep in mind the multiple cost structures. Total recruitment costs include the internal recruitment costs, such as the total time spent by recruiters in hiring, lost productivity as well as the external costs such as advertising budget, candidate expenses, consultant fees and others. A low cost per hire is desirable and achievable with measures to control any loss in productivity and proper allocation of budget. In fact, if we continuously measure and control all other recruitment metrics, cost per hire will automatically be taken care of. While knowing the importance of these metrics is one thing, measuring them and implementing the insights is another. There are various analytics tool available that can help you in accurately calculating all these metrics. For example, sourcing channel effectiveness can be measured by using Google Analytics to track where the people who viewed the job/or filled the job application form on your website actually came from. You can set goals to check the conversion rate. If its too much a task for you to capture all these metrics separately than it makes sense to invest in a comprehensive recruitment software that comes integrated with advanced reports and analytics to measure the vital hiring metrics. These software provide graphical reports based on data collected from recruitment activities conducted in the organization. Based on these reports, you can take corrective actions wherever required. Recruitment has become a battleground of sorts, where a constant fight is on for the best talent. To survive in this battle, one needs to have a solid recruitment strategy. However, prior to that, there is something that needs attention and is extremely important – sourcing, because the foundations of successful recruitment begins with knowing where to find the best relevant candidates. A recruitment process needs to identify sourcing as an integral part so that when a position is available, you have a ready-to- refer pipeline of candidates. Learn more about the importance of sourcing in recruitment. Today, finding the right talent without effective sourcing methods in place is like finding the needle in the haystack. Talent shortage has made the situation even more difficult, which is why sourcing becomes all the more important. But what makes sourcing a specialized field of its own? What is sourcing in recruitment process? The goal of sourcing is to find and identify matching candidates for a target profile. It is much more than performing a specialized resume search on the CV database or just perusing the applications received in response to a job posting. That’s what generally recruiters do. However, a sourcing specialist would proactively search for qualified passive candidates by creating interest around an open position and convincing candidates to apply. A sourcing specialist uses different methods and techniques, including social media or a Google resume search by creating Boolean strings to help broaden the search. The difference between sourcing and recruiting can be hard to fathom and understandably, companies are not willing to invest in a dedicated sourcer because they have no idea of the return on investment that it offers. Recruiting functions include networking with candidates, screening, scheduling interviews, making reference check, and many other related tasks. However, all these can only be possible if there is a pool of qualified candidates. Filling this pool with hireable candidates takes tremendous time and effort. A sourcing specialist identifies the channels that provide the most qualified talent. Recruiters are driven by results whereas sourcers are driven by research and networking. Other sourcing functions include making direct calls to passive candidates and utilizing the various available sourcing tools. With the focus on hiring top talent before it is hired by the competition, the sourcing expert can improve the results of a recruiter who can focus on their work of filling the open requisitions. Sourcing is now considered a vital component of the overall recruiting process. As we know now, sourcing is all about building talent pipelines with a large pool of passive candidates of high caliber who can be hired for an open position when needed. Investing in sourcing is essential to give you a long-term talent supply. that may be interested and qualified for the available job. In the current job market, as much as 75% of eligible candidates are not actively looking for a change. These passive candidates are open to a job opportunity if provided with the right information, compensation, perks and benefits. 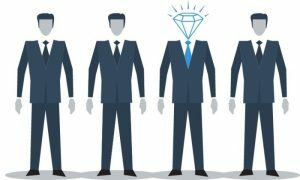 A sourcing expert would know the methods and techniques to find these candidates and reach out to them. Sourcers are adept at creating customized value proposition to attract and connect with top talent. With their sole focus on finding a candidate with the highest caliber that the hiring manager would want to hire, it’s easy to see how sourcing will improve the quality of hire. recruiting process. Recruiters already have a plethora of tasks to complete, with little to no time to left for building a talent pipeline. 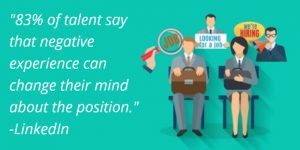 Sourcing professionals, with their expertise and experience can support them by surfacing talent they would want to hire for the available position. With talent sourcing in place, open positions are filled almost immediately as sourcers have already identified and vetted a large pool of talent, thus shortening the recruiting cycle and reducing the recruiter’s workload also. Recruiters now don’t have to spend time reaching out to candidates, know their expectations and if they align with that of the organization as that has already been taken care of. Since sourcing solely focuses on finding the right talent matching the job requirements, there is enough time to find and convince diverse professionals to consider your company as a perfect career destination. With their research and networking skills and no rush to sell, sourcers have the time and opportunity to attract culturally, and professionally diverse individuals and improve workplace diversity. Recruiting and sourcing are increasingly recognized as distinct activities with very different goals and outcomes, requiring very different skills and processes. Sourcing is so much more than simply specialized resume search and candidate name generation. It has turned into a specialized field of its own, and if you don’t understand the difference between sourcing and recruiting, it will end up adding to the overall cost and time to hire.